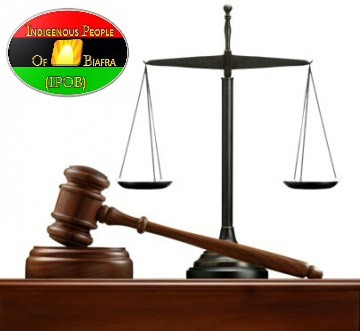 ABUJA - Shuaibu M. Labaran, the Prosecution counsel to the federal government in the ongoing trial of four detained members of the Indigenous People of Biafra, IPOB, at the Federal High Court sitting in Abuja, today, moved a motion for adjournment, following his absence in court. According to information made available at the court, Labaran was praying the court to adjourn till 7th day of June, 2018 for continued hearing, saying he has being engaged on other official matters. The court which slated today (Wednesday) to deliver its ruling on the bail application of the four detained Biafra activists, had hitherto adjourned it against the initial date of May 21, 2018. However, reacting to the development, lawyer to the fourth defendant, Mr. Maxwell Okpara berated the prosecution's absence and move for adjournment, saying that he(Labaran) was duly informed and assented his readiness when the new date for the hearing was fixed. He added that he felt something sinister in the offing and a deliberate ploy to truncate Wednesday's proceedings because according to him, the prosecution has several lawyers in their team that could eadily represent them in thr case even when the lead counsel could not make it to court. He, therefore, insisted that if the court would entertain Labaran's motion for adjournment, it has to grant the reliefs sought by the defendants in their applications before adopting motion for adjournment. Reporting live from FHC, Abuja.